Incentives are a classic trick in economics, but they are also a deep well of study that never seems to run dry. Economists understand the best way to get someone to do something is to reward them for it, but economists continue to argue about the type of reward, the quantity of the reward, the timing of the reward, and more. As a result, economists (and everyone else) aren’t quite sure how to take full advantage of incentives to achieve the most effective response. 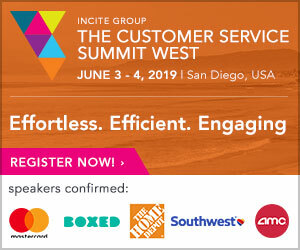 In customer service, incentives are exceedingly useful for attracting customers and keeping them happy as well as getting employees to hit some goal. Therefore, it is imperative that you and your team fully understand the power of incentives and how to wield them responsibly and effectively. There are thousands of instances of incentive initiatives to be found in history, but perhaps the greatest success story comes from Britain in the 1860s. The British government famously contracted private ships to transport prisoners from Britain to Australia, but because captains were paid per prisoner before they departed on the journey, survival rates for prisoners were abysmal ― about 40 percent. Despite pleas from the Church, humanitarian groups, and even governmental agencies, rates did not improve. It was not until an economist convinced the government to pay captains for each prisoner delivered to Australia alive and well did the survival rate improve; in fact, it jumped to an astounding 98 percent. This historical example proves that direct incentives can and do modify human behavior. By knowing the action you want completed and instituting a reward for its completion, you can motivate people to act a certain way and reach some desired goal. In business, direct incentives are easy to find. If you want customers to provide contact information, you can provide a discount coupon upon entry of an email address, like hundreds of retailers do online. 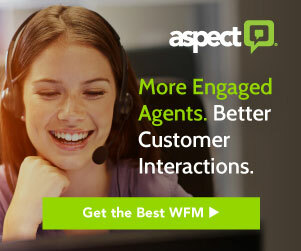 Alternatively, if you’re a reseller and want employees to find more leads, you can partner up with distributors that offer Cisco OIP to reward employees for their hunting efforts. Another business example is you can offer bonuses to sales employees when they hit certain predetermined quotas. However, direct incentives aren’t necessarily perfect; there is a line you must be careful not to cross. If the incentives become too attractive, they can lead to behavior modification that causes people to abandon focus on anything else. Returning to history, in the Soviet Union, manufacturers were incentivized to increase production, and many managers responded by upping production at a cost to the quality of the goods. 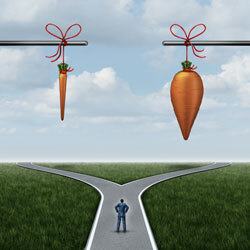 There is another option that you can try as well: indirect incentives. Unfortunately, indirect incentives are nearly impossible to create artificially; usually, they arise naturally from desires in populations. Inherently, your workers probably want to earn respect and prestige, take home a living wage, and contribute meaningfully to the organization. Accordingly, they should strive to cooperate to achieve these goals, since cooperation benefits them as individuals, the business, and the greater market economy. When considering implementing direct incentives into your business, here are a handful of “tricks” to inspire your service team or customers. Know your goal. This is the first rule of direct incentives. If you don’t know what you want people to do, you can’t get them to do it through incentives. Establish rules. Implement rules to ensure that either your customers or employees know they must work honestly toward a given goal or quota to earn the offered incentives. You don’t want anyone trying to manipulate the system and you don’t want to create poor behavior that could negatively affect your business. Spread the word. 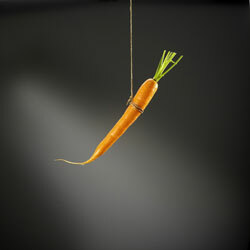 Incentives don’t work if people don’t know about them. The incentive should be extremely visible so people will participate. Consider smaller steps. If a goal is particularly distant, the prize could seem too far away for people to strive for incentive. You can provide smaller rewards along the path to encourage achievement. Understand risk. If the incentive requires competition, you might scare off risk-averse people. In this case, you should broaden opportunities to win by distributing more incentives than just one. What Is Omnichannel Marketing and How to Apply It?